Drawing on our extensive event management experience, we have designed and developed a suite of technology solutions tailormade for events. 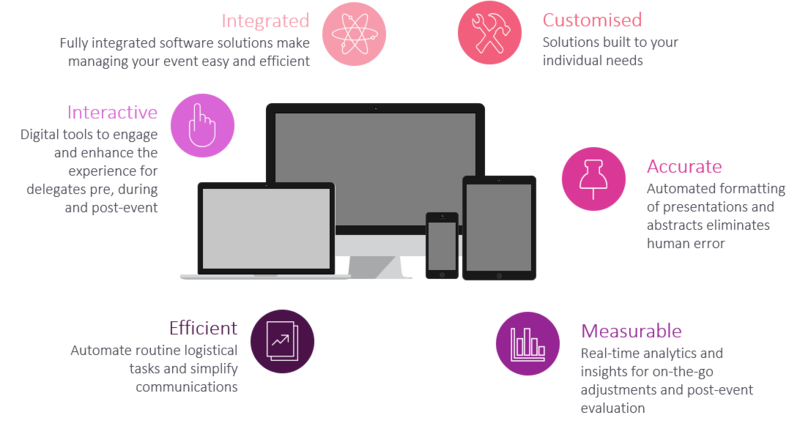 Our solutions span the spectrum of seamless back-end project management and client/delegate facing applications to save you time, increase efficiency and enhance your planning and onsite experiences. From apps and digital engagement tools to speaker and program management solutions, digital posters and conference websites, we have all your event technology needs covered. Our suite is fully integrated and best of all, it is customisable to your needs. If you have the ideas (and we will have some too), then we can make it happen. Streamline routine logistical tasks, easily manage large volumes of content (e.g. 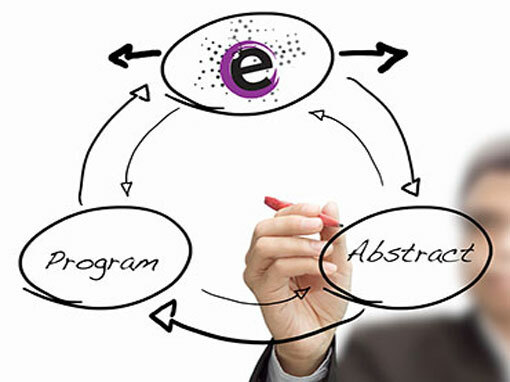 abstracts, programs) and eliminate human error with our user friendly event planning and review software. It can save you up to 60 hours of manual labour for every 100 abstract submissions. 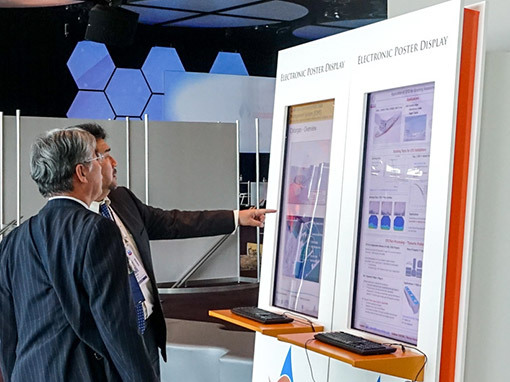 Save time and money, increase engagement and give your attendees a wholly interactive experience with our paperless posters. 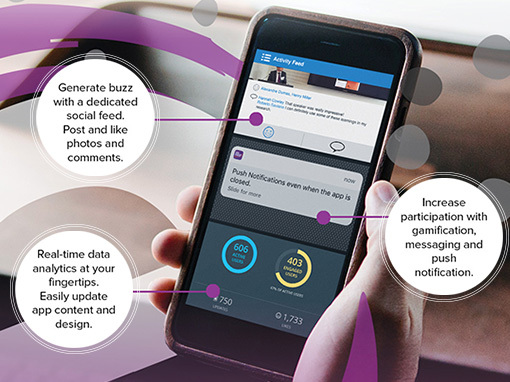 Increase the digital engagement of your event by as much as 70% with our award-winning mobile app platform. Enhance your speaker experience, pre-event and onsite, with our world-class speaker management system. 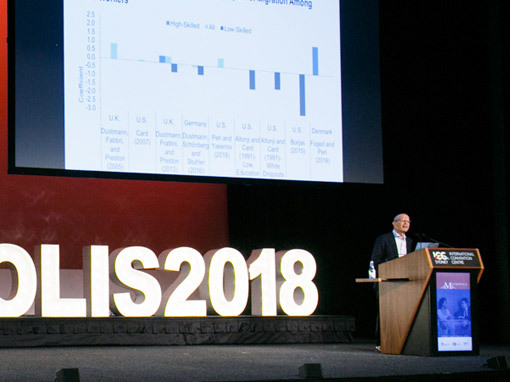 "ePresenter increased interaction between attendees and facilitated a unique way of presenting scientific posters." "I found the mobile app (eMobilise) easy to use and of great potential benefit to other conferences I'm involved with." "Laying out the program in eOrganiser is an easy and intuitive process." "eOrganiser provided flexibility and was responsive to changes in the lead up to the final program." "The people at Arinex Technology are some of the most collaborative and open to requests that I've come across." "Arinex' ability to 'think outside the box' providing innovative event technology and digital solutions, differentiates them from others."